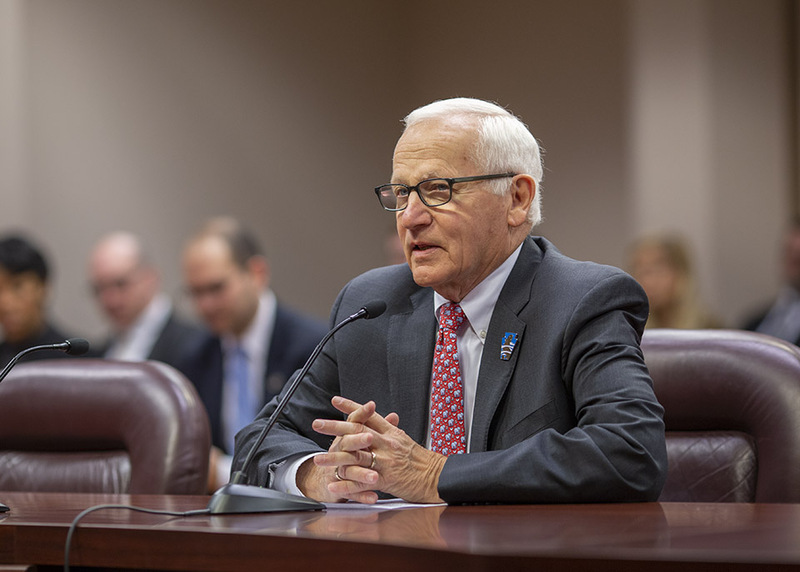 HARRISBURG – Two days into the start of the 2019-2020 Legislative Session, a legislative proposal championed by the Chesapeake Bay Foundation’s (CBF) Pennsylvania Student Leadership Council has already won support in the state Senate, according to Sen. Gene Yaw (R-23). On Tuesday, the Senate State Government Committee, chaired by Sen. Mike Folmer (R-48), unanimously approved Senate Bill 9, sponsored by Yaw, which designates the Eastern Hellbender as the first “State Amphibian” of Pennsylvania. CBF’s Pennsylvania Student Leadership Council, consisting of high school students, invested many hours studying the Eastern Hellbender and the problems the amphibian is facing within the state. With assistance from Lycoming College in Williamsport, the students drafted the legislation during the 2017-2018 Legislative Session, meeting with elected officials to outline why they felt it should be the state amphibian. Yaw agreed to reintroduce the measure in the new legislative session. If approved by the General Assembly and signed by the Governor, the Eastern Hellbender would join the ranks of the White-Tail Deer as the State Animal, Ruffed Grouse as the State Bird, the Great Dane as the State Dog and the Brook Trout as the State Fish. 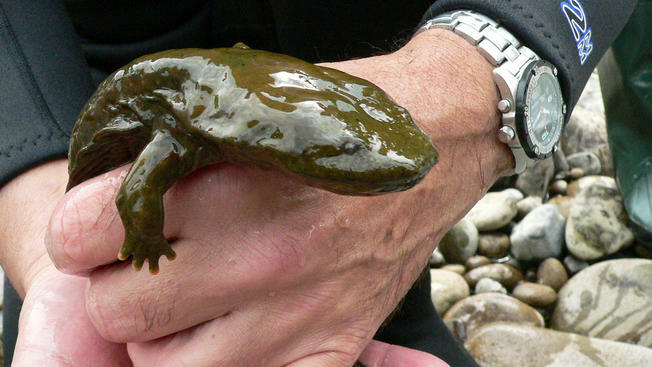 An eastern hellbender held by a researcher. / Photo provided by Peter Petokas, a research associate at the Clean Water Institute of Lycoming College’s biology department. Senator Gene Yaw, sponsor of Senate Bill 9, offers comments during the Senate State Government Committee meeting in Harrisburg on Tuesday.